Our DIY Family Tree Kit was featured in CountryLiving.com in their post 12 Family Tree Ideas You Can DIY, Even If You Didn’t Get the Creative Gene. 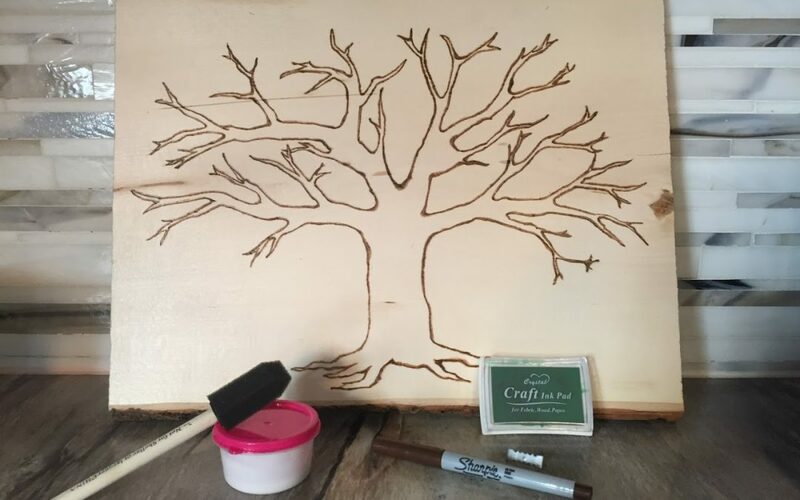 This DIY family tree will give you everything you need to make a beautiful customized gift. We’ll burn the outline of the family tree onto the plaque for you. Then, you color it in with marker, colored pencils, pen… have your family write their names, or even use their thumb prints to make leaves on your trees. Add your own family saying or family quote — the possibilities are endless! This is a great option for a wedding guestbook alternative! We will send you all the materials you need to make a one of a kind sign with all your wedding guest signatures! Includes an instruction & idea packet filled with tons of inspiration to get your creative juices flowing and put you on the path to success. The packet gives step-by-step directions and features beautiful full color family tree examples, family quotes, and even traceable leaf patterns to make your family tree project look unique and professional. Rather have us make one for you? Check out our personalized family tree listing. It will also give you some great ideas that you can do yourself! In celebration of our feature, for a limited time we are offering the idea packet from our DIY Family Tree Kit for FREE!